Best Android Cloud Apps lists some useful applications, those are basically software as a service and can be accessed from your Android Tablet of Smartphone. Most of these Apps listed in Best Android Cloud Apps are available in Google Play, if not, we have mentioned the source as well. You can type or copy any name of the Apps listed in this list of Best Android Cloud Apps and search it in Play using the Search function if not specific instruction is written. Google Drive : With Google Drive, you can store all your files in one place, so you can access them from anywhere and share them with others. FolderSync : FolderSync enables easy sync of files between cloud storage and Android devices. Other Storage Applications for Android can be found on our previous article Android Apps For Managing Online Storage. Evernote : From photographs to voice notes, Evernote can sync to cloud easily. GDocs for Android : Go to this url using your Android – https://sites.google.com/site/gdocsforandroid/ ; point your camera to scan the QR code and done. SafeWallet : Password manager with Dropbox syncing. CallTrack : CallTrack logs your phone activity to your Google Cloud. AWS Console : Amazon Web Services management console. Application uses Amazon API to provide simple interface for Amazon EC2, SNS, RDS, Route 53, S3 and CloudFront services. Rackspace : The Rackspace Android app allows you to easily and quickly administer your Cloud Servers and Cloud Files on the go. Simply log in with your API key. CloudAround Music Player : Play music from Cloud like Dropbox, Rackspace, Amazon. K-9 Mail : Use it, you will love it. 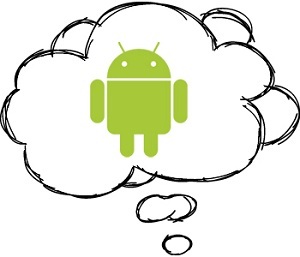 We hope you can find some of these Best Android Cloud Apps to be quite useful. This Article Has Been Shared 3952 Times! Cite this article as: Abhishek Ghosh, "Best Android Cloud Apps," in The Customize Windows, July 24, 2012, April 21, 2019, https://thecustomizewindows.com/2012/07/best-android-cloud-apps/.